A platformer game intended for the casual player that enjoys jumping, dodging and fighting enemies while overcoming increasingly dangerous obstacles, in a retro pixel setting. Playable in a browser with basic keyboard controls. This game is on alpha stage. 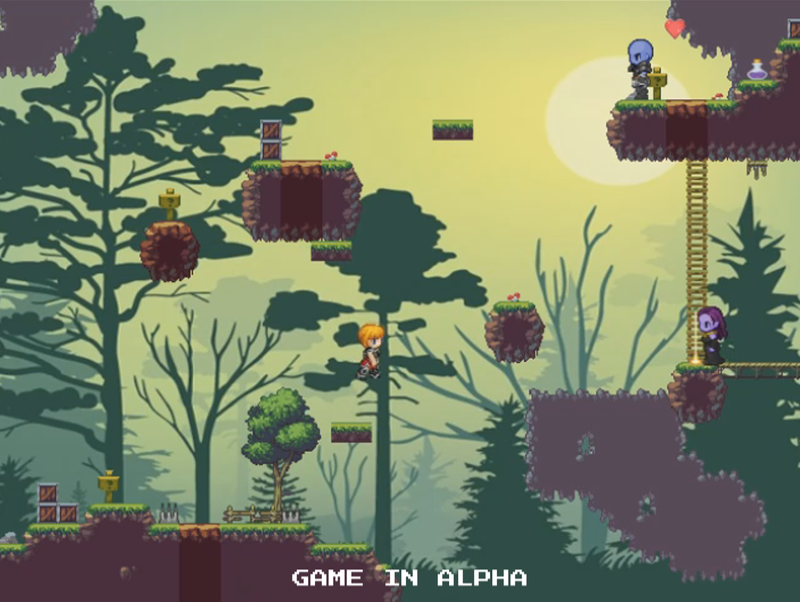 Be a platformer game with a main character. Have shooting, enemies and health items. Have entry and exit points on each level. And incorporate any new mechanich or challenge on each level. Besides that, we could improvise and create anything to our liking. Based on that, I wanted to bring the retro-pixel style of old games where the challenge of overcoming increasing difficulties was the main drive of the game. My final result was a simple, buy entertaining game, where each level requires strategic thinking in order to overcome the obstacles without mindlessly, repeatedly dying. I used simple and classic keyboard controls, so that any player can play intuitively, without struggling to decipher how to play the game. The game can be played in any web browser, but I recommend using Mozilla Firefox for it. You can play it on my Itch.IO page. I developed this game using Tiled to create the maps, and HaxeFlixel for the logic and main development. The trailer was recorded using OBS Studio and edited in Photoshop CS3 and Sony Movie Studio.